Description: Castillo de Almodóvar del Río (Hisnu-l-mudawar; "the round castle") is a castle of Muslim origin in the town of Almodóvar del Río, Province of Córdoba, Spain. Previously a Roman fort, the current structure is of Moorish origin, in the year 760. During the Middle Ages, it underwent several renovations and reconstructions. 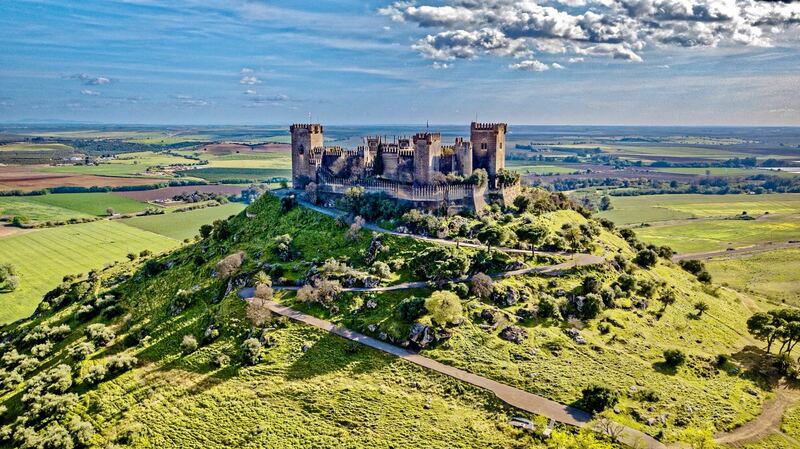 Part of the 7th season of the blockbuster TV series Game of Thrones takes place in the Almodóvar's Castle. It depicts house Tyrell's home Highgarden and also parts of Casterly Rock of House Lannister.